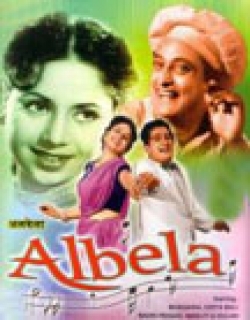 Albela is a 1951 Indian Bollywood romance film released on 1951. The film is directed by Bhagwan. Day-dreamer and Artist, Pyarelal, lives a poor lifestyle in Bombay with his retired dad; housewife mom; married brother, Mohan and his wife, Malti; and unmarried sister, Vimla. It is now time for Vimla to get married, her dad has saved a thousand Rupees, while Mohan has made arrangements for six hundred more, and Pyarelal is asked to arrange for four hundred. Instead Pyarelal brings home one hundred rupees, informing his family that he has been fired from his job, and will be unable to raise any more money. An argument ensues, and Pyarelal is asked to leave. He leaves, swearing only to return when he is a famous and wealthy man. He meets with pretty actress, Asha, both fall in love with each other, and he starts acting in the theater, and achieves quick success. He starts sending money and gifts home to his parents, and hopes that they will be pleased with his success. Then one day when he feels that he has achieved his success, he returns home - only to find out that the money and gifts he has been sending home are missing; his mom has passed away; his dad and sister are missing, believed to be begging in the streets; his sister's marriage has been canceled; his brother cannot support himself; and his sister-in-law, has a dark deep secret that she cannot tell anyone. A musical hit and Bhawans most successful film as producer and director. A dispatch clerk (Bhagwan) dreams of becoming a stage star. His success as singer and dancer is aided by the reigning star Asha (Bali) with whom he falls in love. 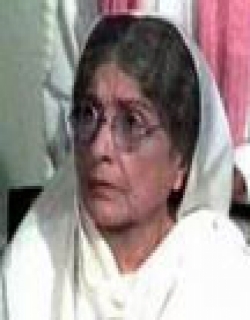 The love story is intercut with tragedy in his home, the death of his mother (Pratima Devi), estragement from his father (Badri Prasad) and the villainy of his brother-in-law (Nihal). The film highlights are the dances and C. Ramachandras hits songs Shola jo bhadke (set to flickering light and Hawaiian dance chereography), Bholi surat and Shyam dhale, all sung by the composer with Lata Mangeshkar. Bhagwan apparently sold the films rights cheaply after its initial run and its successful 90s re-released did nothing to benifit its impecunious maker. 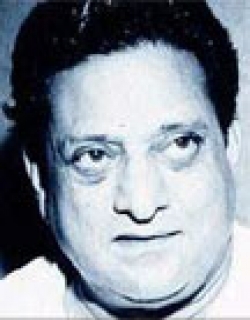 [Source: Encyclopaedia of Indian Cinema] Check out this page for more updates on Albela. 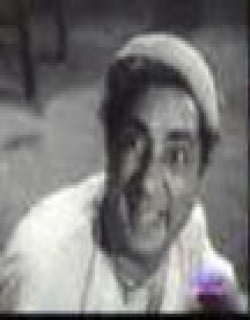 This page provides latest and updated information about Albela (1951) movie which released on 1951. 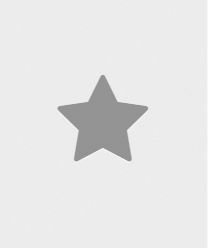 Albela (1951) is directed by , produced by , starring .We have also provided 2 trailers and videos, 2 photos, 29 user reviews, and 0 critic reviews.Albela (1951) has received 2 rating from user reviews.The overall rating of Albela (1951) is 40 and movie is 2.You can review, like, dislike this movie and also can add to favorites. You can also find information on showtimes, CDs, DVDs, online rental, online free watching.